Andrew Whittaker, who is the chairman of the Guernsey Investment Fund Association, is also very satisfied with the statistics of the fund. The chairman and the whole organization are very proud of the fund management and administration on the island of Guernsey which is the “culprit” for the high numbers. They did a good job if we consider the challenging conditions under which they had to work. 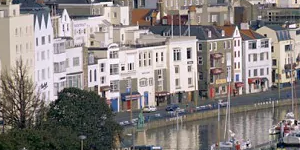 The Guernsey management succeeded in drawing attention to the domiciled funds in Guernsey. The chairman states that the billion-worth fund initiatives in the island have led to an increase and that they surpassed certain smaller losses in the past year and a half. He also confidently says that Guernsey is the go-to place for private equity. Head of Funds at Elian, Guernsey, Mr. Amy, is also very pleased with the fund’s performance and comments that they are expecting further progress and positive outcomes in 2017 as well. After observing activities from old and recent clients, he proudly states that they are in line with their expectations. What draws clients to the high-profile fund is the fact they come from different jurisdictions and enjoy offshore benefits. The latest fund’s strategy launches boosted private equity, real property, as well as debt infrastructure. The Head of the Guernsey Commercial Department at Collas Crill, Paul Wilkes, also commented on the fund performance whereby he emphasized that the fund was continuously and steadily increasing regardless of the two major political and economic events which recently happened, referring to Brexit and the US elections. He also announces that Collas Crill (offshore law firm) is going to continue to invest in UK property and that they prefer the Guernsey fund instead of traditional British funds. Exciting projects are also planned in the third quarter in Collas Crill. 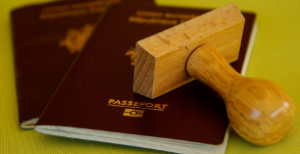 As he says, they have been awaiting a positive response regarding the Alternative Investment Fund Managers Directive (AIFMD) passport to expand to Europe. ESMA’s recommendation has been sent to the EU Council, Parliament and the Commission. The Guernsey Fund Management is positive and is looking forward to the final approval of the AIFMD passport, which will open the doors to the EU market and companies. The most praise goes to the management team which had a clear strategy how to boost the trust fund and how to attract new clients. Significant and big companies are a part of the simple fund jurisdiction which offers uncomplicated procedures and excellent services.